Unlike a typical locksmith company, it is critical to work with a well-trained, eviction locksmith service provider that specializes in evictions as you go through the eviction process. In those uncomfortable situations where a homeowner or landlord has to evict a tenant, several procedures must take place before the process is complete. Often times this process involves several steps that lead to the actual eviction; from sending out past due notices - to processing court documents - to the actual eviction. It is imperative that professional eviction locksmith services are performed by an experienced technician who is sensitive to the eviction process and all the parties involved. During the eviction process, a trained eviction locksmith service technician must be aware of three key areas to render this service successfully. Why? Because being a part of the eviction process requires more than just changing a lock. It requires proper timing, safety and reliability. Timing – Eviction Locksmith Service. Since some eviction locksmith services are performed after a court ordered judgment has been made, there are times when tenants are allowed a specific window of time to gain access to their residence to remove their belongings. A skilled eviction locksmith service technicianfrom American Local Locksmith knows to coordinate his timing with that of the overall eviction process - at the designated time that is required of him. 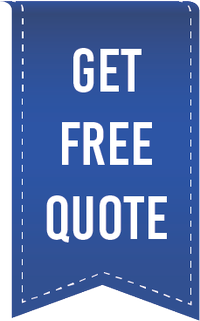 Safety – Eviction Locksmith Service. There are other times when tenants may attempt to prolong their stay, and continue to reside in their place of residence longer than authorized. A skilled eviction locksmith service technician must be both aware and sensitive to this issue to limit any interactions with tenets to avoid conflicts. Skilled eviction locksmith service technicians at American Local Locksmith are fully aware that at any time they could have an encounter with a disgruntled tenant and thus will be in constant communication with the landlord or property owner to minimize such conflicts for the benefit and safety of everyone involved. Reliability – Eviction Locksmith Service. Since landlords are experienced with the eviction process and all of the legal ramifications that are associated with it, it is imperative for eviction locksmith service technicians to be both responsible and reliable when delivering eviction related locksmith services. Landlords and homeowners understand the fact that the tenants can become disgruntled or they may attempt to enter the premises at a later time. So they are relying a great deal on for eviction locksmith service technicians to perform their job in the manner in which they were instructed. Basically, professional and highly trained eviction locksmith service by American Local Locksmith providers work very closely with landlords and homeowners to ensure that the eviction locksmith services that are performed, are done so on time and is consistent with the timing of the overall eviction process. Eviction locksmith service technicians are very sensitive to their own safety and the safety of those around them. 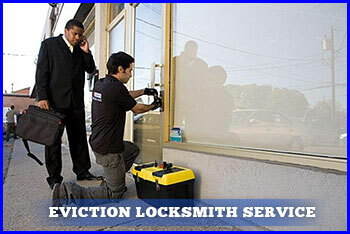 Lastly, they must be reliable when the eviction locksmith services are being performed - every time. If you require eviction related locksmith services, please give American Local Locksmith a call.